Bill Taylor was born in 1948 in Hamilton, North Carolina. 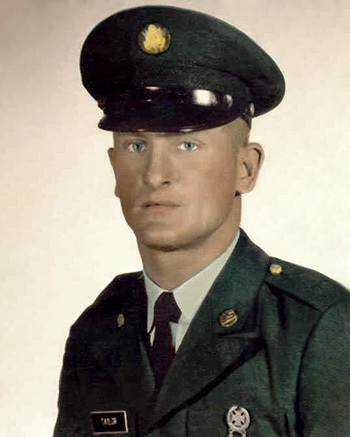 He enlisted in the U.S. Army on July 6, 1966, and graduated from basic training at Fort Gordon, Georgia, in September 1966. Pvt Taylor next completed Fixed-Wing Aircraft Maintenance School at Fort Rucker, Alabama, in December 1966, followed by service as an O-1 Bird Dog Crew Chief with Headquarters Battery, 36th Artillery Group in West Germany from January to July 1967. 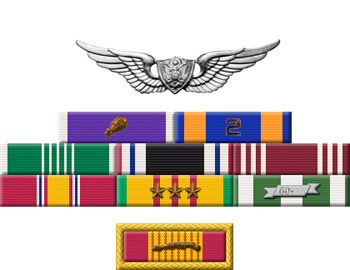 His next assignment was as an O-1 Crew Chief and Aerial Observer with the 221st Aviation Reconnaissance Company of the 16th Aviation Group in South Vietnam from August 1967 until the aircraft he was flying aboard was shot down and crashed in South Vietnam on March 20, 1968. After spending 48 days in captivity, the camp that Sgt Taylor was being held at was attacked by U.S. Army AH-1 Cobra helicopter gunships on May 6, 1968, and he managed to escape into a clearing where he signaled the crew of one of the helicopters. He was able to grab the skid of the helicopter, but was shot off by the Viet Cong, and then was retrieved by the helicopter on a second attempt. He was treated for his injuries at the 24th Evacuation Hospital at Long Binh, South Vietnam, from May to October 1968, and then at Walter Reed Army Medical Center in Washington, D.C., from October 1968 until he was medically retired from the Army on December 12, 1969. After leaving the Army, Bill worked as a National Service Officer for the Disabled American Veterans from 1970 to 1998, and he and his wife Carol now raise Simmental Cattle on their ranch in Colorado.